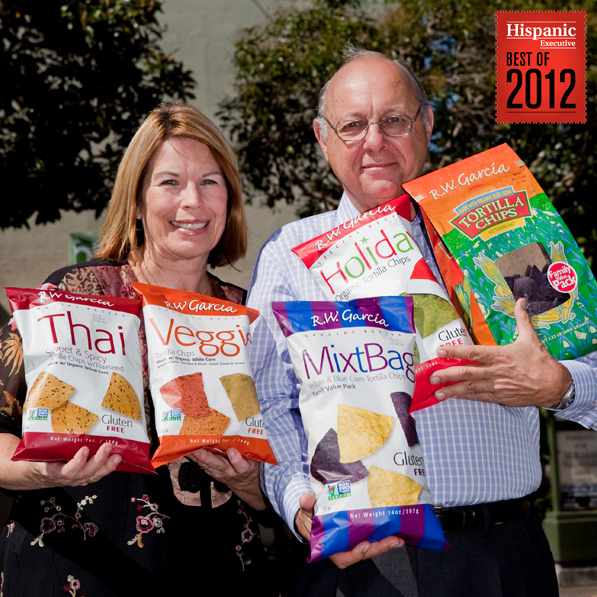 Margaret and Robert Garcia have a nutritious chip on their shoulders: they’ve been producing delicious, all natural-tortilla chips for more than 25 years. Robert W. Garcia has worked in the food industry most of his life. Prior to his current endeavor, he was a regional sales manager for a food-distribution company that had him on the road more than at home. His children were young and he was missing special moments in their lives. Also, he wanted more quality time for himself, something his work lifestyle couldn’t offer. I’m successful. It isn’t money. Garcia chose tortilla chips, he says, because they were popular in northern California. But he had a goal of using only the healthiest ingredients. He found a distributor in Southern California who used whole-cooked corn rather than flour corn and pure corn oil. He recalls, “We started making product and it wasn’t very good at first. Everything was a learning experience. It seemed easy to buy raw, dry corn and turn that into a tortilla chip, but then we had to decide how long to cook it. It was the school of hard knocks.” Garcia bought product from a third party while the company was working on quality control. Six months later, happy with the flavor, they began putting out their own product. The company’s products include classic yellow and blue tortilla chips, flaxseed, veggie, Thai, and spice, and come in a mixed bag (two varieties in one bag), a big bag, and classic size. They recently launched a “dipper,” a rectangular chip with a curved edge. Their newest chips, which cater to a high-end market, include sweet potato and curry/mango. Today, produced via two plants in San Jose and North Carolina, Garcia’s chips are available across America in both traditional grocery stores such as Publix Super Markets, Inc., and Vons, as well as health-food stores such as Whole Foods. Garcia also donates to local food banks and communities affected by disasters. on avenues not to go down,” he says. Garcia is not only successful, he’s humble. “Some people call me a role model for the Latino community,” he says, “but I’m just an ordinary guy who has been very fortunate. I was in the right spot at the right time with the right idea.” By sharing his experience, perhaps he can help others find their “right” spot too.